Home » Posts » Blogs » Life is Better with Sunglasses! Life is Better with Sunglasses! There’s nothing quite like a glorious hot summer season with lazy days and summer nights. Whether it’s a trip to seaside in the UK, a beach break to a sun kissed Mediterranean Island or a tropical holiday in the Caribbean, we all know that most of us start smiling when the summer arrives; the sun instantly makes us feel happier, cheerier and more energetic with that extra boost of Vitamin D! And then there is the holiday wardrobe that comes with the summer season… beach wear, summer dresses, shorts, tops and flip flops: they are bright, they are bold and we love them! However, the summer outfit is only complete when you add your most favourite pair of cool designer sunglasses or shades, the ones you invested a small fortune in and guard with your life because you have lost dozens before them! Sound familiar? It happens to us all! Whether they are wrap around, oversized Swarovski crystal encrusted, aviator, clubmaster style or rocking the retro look, they are a must have possession and most of us have a small collection, each with their own set of memories of where, when and why we bought them. When it comes to choosing sunglasses, many individuals who require prescription glasses sadly do not have the freedom to purchase off-the-shelf stylish, designer sunglasses and instead have the grueling task of arranging prescription sunglasses or tinted prescription lenses combined with limited choice and added expense. Let’s face it; prescription sunglasses don’t really cut it when it comes to trendiness the way our favourite designer brands do. This can, of course, change if you decide to make the choice that over 22 million people worldwide have taken and proceed with Laser Eye Surgery. 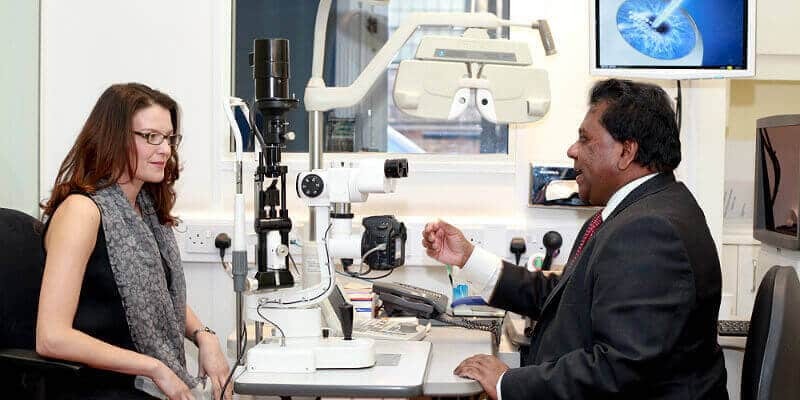 At Advanced Vision Care, the quick, painless and safe procedure is undertaken on a daily basis by people who want to change their lives, investing in life-long clear and crisp vision with a clinic that offers the foremost authority on Laser Eye Surgery. With an interest free payment plan and credit facility, there are no reasons why you can’t enjoy life without the extra hassle of glasses, prescription sunglasses or contact lenses. Advanced Vision Care is renowned for our outstanding results, implementing the very latest laser eye surgery techniques with equipment from the world’s leading eye care companies. Renowned for their exceptional team of eye treatment surgeons and professional staff, Advanced Vision Care can completely change your life with Lasik or Lasek Laser Eye surgery. The level of leading medical care delivered at the Advanced Laser Clinic is cutting edge. In addition to this, and with the extensive geographical client base that we have established, AVC now offers a superior aftercare service nationwide through a network of trusted optometrists throughout the country. So, next time you decide to go shopping, browse through your department store to the sunglasses section and enjoy! Make an appointment with Advanced Vision Care today and you could be seeing clearly and buying those fabulous designer shades before your next sunshine destination!